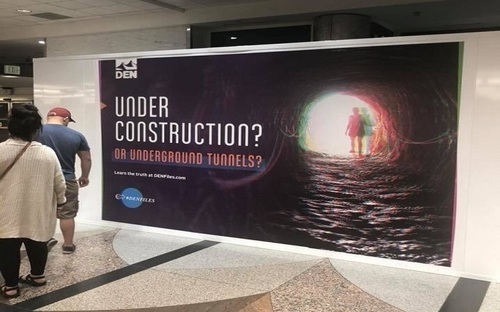 If Denver International Airport wanted to get people to stop talking about the incredibly strange theories that have been circulating about the airport, this isn’t the way to do it. 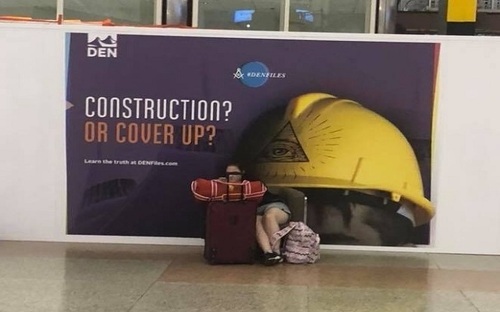 In construction zones inside DIA, enormous posters have been put up that supposedly mock the bizarre “conspiracy theories” that have been circulating ever since the airport first opened more than 20 years ago. 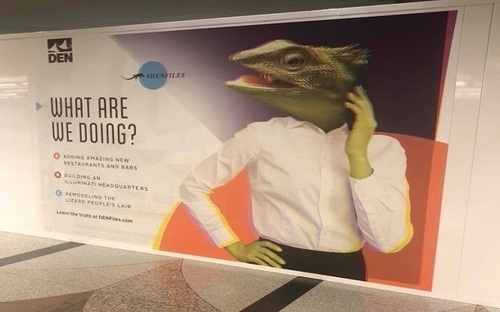 In addition to asking if the airport is “preparing for the end of the world”, these new posters prominently feature Illuminati symbols, underground tunnels and lizard people. Why in the world would they do something like this? If they had stopped there, nobody would have probably made too much of a fuss. But in this next one, a yellow hard hat with an “Eye of Horus” on it is the main image on the poster. 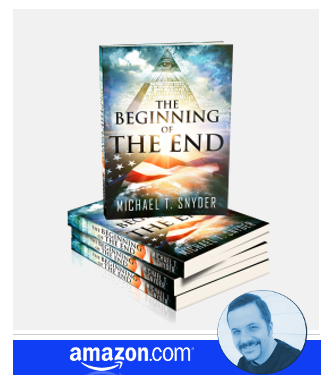 This is a deeply occult symbol that goes back for thousands of years, and it was being used long before the Illuminati ever existed. And in the background of the poster, you can make out a couple of pyramid-like structures that appear to be missing their capstones. 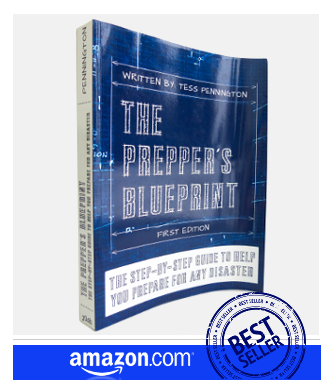 And so who could be dwelling in those underground tunnels and structures? 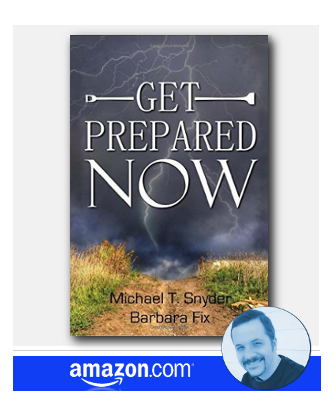 Despite their insistence that nothing is going on, there are a lot of questions about Denver International Airport that remain unanswered after all this time. So instead of mocking those with questions, DIA should actually be trying to provide some solid answers. During my travels, I have been to Denver International Airport many times, and I don’t know what the truth about that place is. 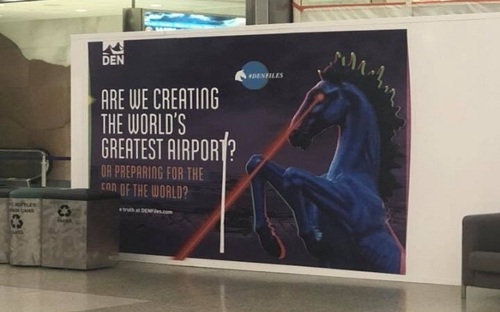 It is definitely the strangest airport in America, and the bizarre murals undeniably appear to contain some sort of apocalyptic message, and I really wish that they would tear down that demonic blue horse in front of the airport. But is everything that people are saying about DIA true? Extremely Rare Perfect Red Heifer Born In Israel – Does This Mean That Israel Can Now Rebuild The Temple?